I went on a short road trip north past Woodland, Washington to a tucked away building off the Cedar Creek. 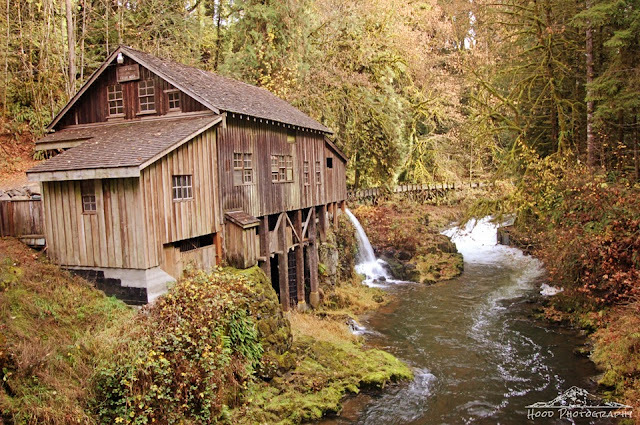 The mill was built in 1876 and is on the National Registry of Historical Places for Clark County, WA. Today it is maintained by the non-profit "Friends of the Cedar Creek Grist Mill" and operates as a working museum. I love that, it's beautiful! Beautiful photograph. I'd like to visit that mill some day. Great photo ops with the kiddos, I bet! Oh how can one go wrong taking this picture scenery. All set up for you. Tee,hee..
Glad to see that the old mill is still there. fantastic home picture, love these kinds of places.